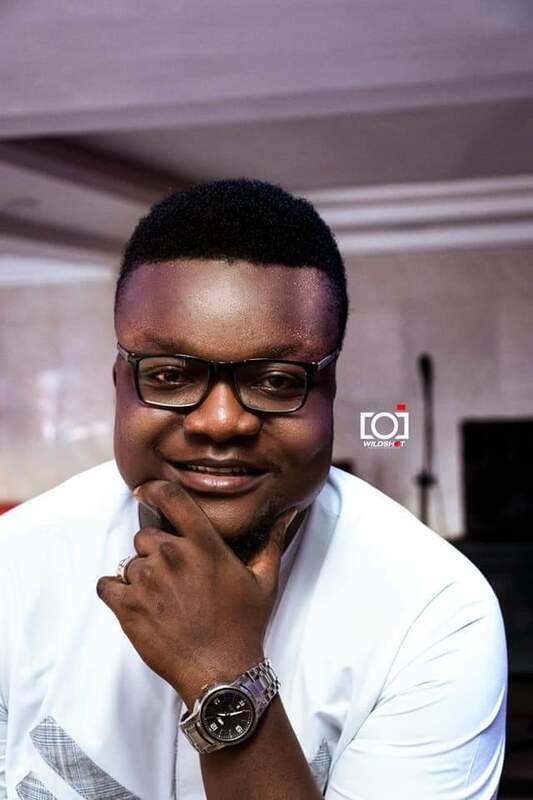 Veteran Port-harcourt based artist mananager and CEO of IcheWealth entertainment Mr Gift Azunwena has taken to social media to air his frustration over the continuous political tension in the garden city of port-harcourt since the state's governorship elections. Recall that the results gubernatorial elections in the state has been in a statement due to a power tussle between the Peoples Democratic party,PDP led By the state governor barrister Nyesom Wike and the African Action party ;AAC Led by the minister of transport Rotimi Chibuike Amarchi. This has led to tension and apprehension in the state as much social activities has stalled due to the uncertainty surrounding the elections. Also the state,s major road in the heart of the city has been closed since the February 23rd date of the guber elections. 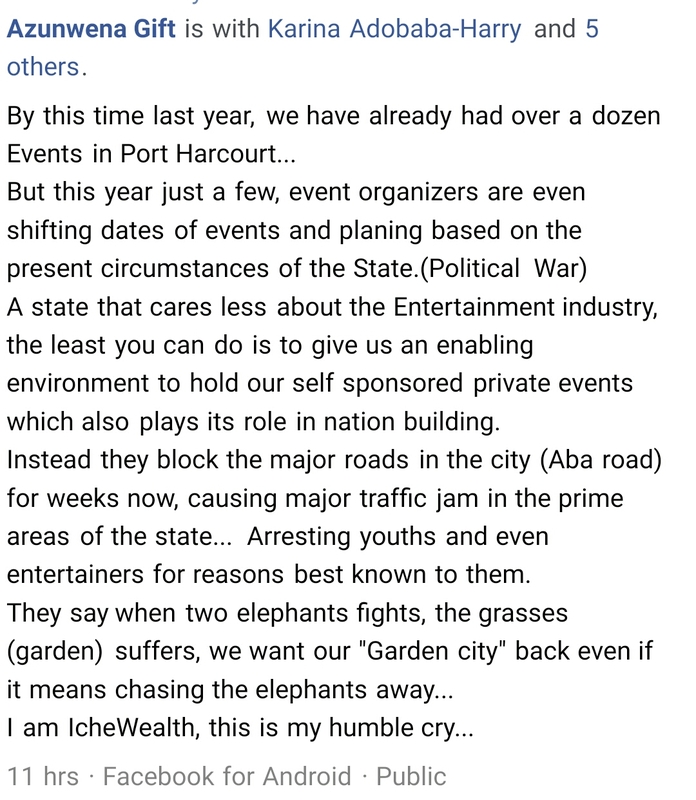 Taking to his Facebook page,Mr Azunwena wrote"
I am IcheWealth, this is my humble cry..."
We are appealing to the political gladiators in the state to sheath their swords and allow peace to reign in the garden city of Port-harcourt.